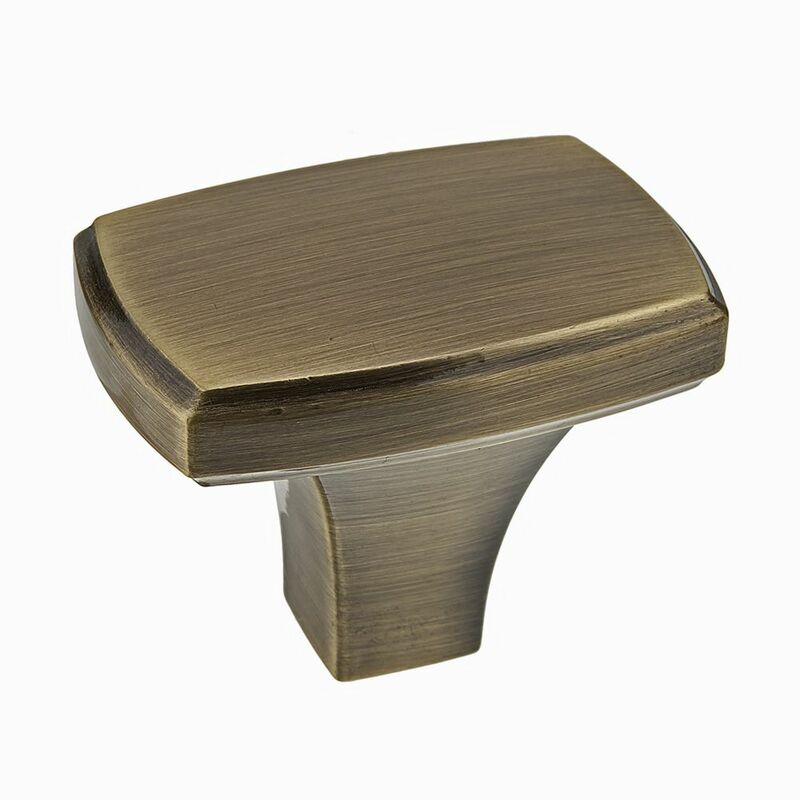 Transitional rectangular-shaped knob by Richelieu. Its simple discreet shape and smooth surface will enhance your furniture and dicor. The Amerock BP29460CAS Abernathy 1-1/16in(27mm) LGTH Knob is finished in Clear/Antique Silver. With an air of elegance, the Abernathy collection adds depth and dimension to any space. Accented by four distinct finishes, the stunning jewel-like Knobs add a classic touch resulting in a sophisticated and timeless look. Antique Silver is a sleek and lush finish with deep, rich colours designed to complement traditional, transitional and eclectic styled homes. The Amerock BP29368AS Candler 1-1/2in(38mm) LGTH Knob is finished in Antique Silver. The Candler collection is distinctively elegant, with strong lines and soft curves that blend a touch of femininity with enduring class and timeless character. Antique Silver is a sleek and lush finish with deep, rich colours designed to complement traditional, transitional and eclectic styled homes. The Amerock BP29370AS Extensity 1-1/8in(29mm) LGTH Knob is finished in Antique Silver. Extensity features beveled curves and a stately arc. Antique Silver is a sleek and lush finish with deep, rich colours designed to complement traditional, transitional and eclectic styled homes. Transitional Metal Knob Antique English - Prévost Collection Transitional rectangular-shaped knob by Richelieu. Its simple discreet shape and smooth surface will enhance your furniture and dicor.